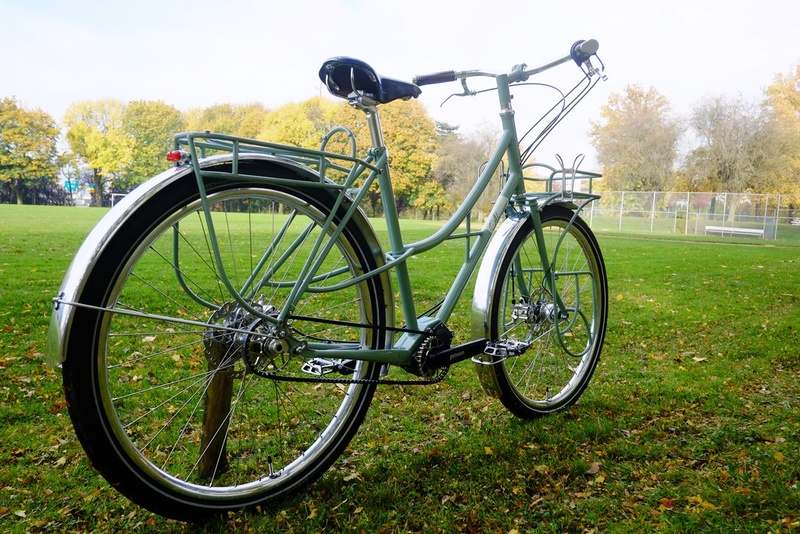 "Bicycles make people smile," says master bike builder Joseph Ahearne. That's certainly true of his Cycle Truck, a low-maintenance hauling machine that both looks fun and gets work done. 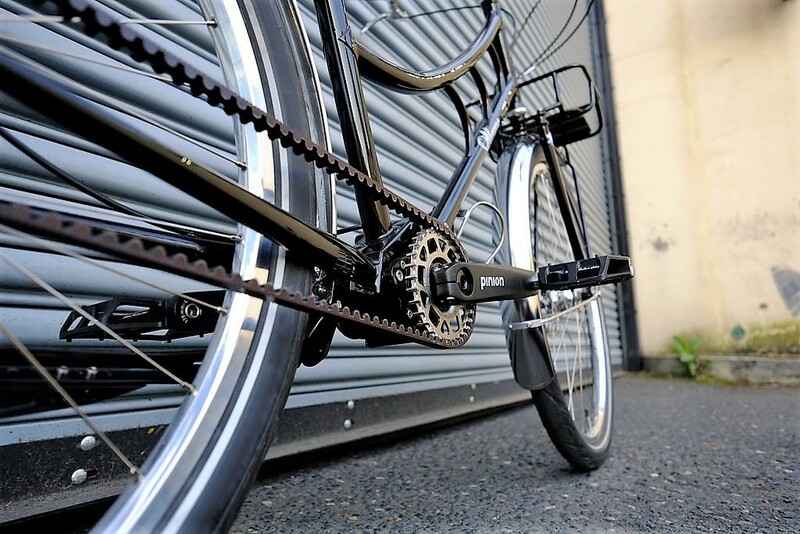 Based in Portland, Ahearne Cycles specializes in touring, commuting and functional bikes that are solid and stylish, and in recent years Ahearne has developed a reputation for his beautiful belt-drive gearbox rigs. 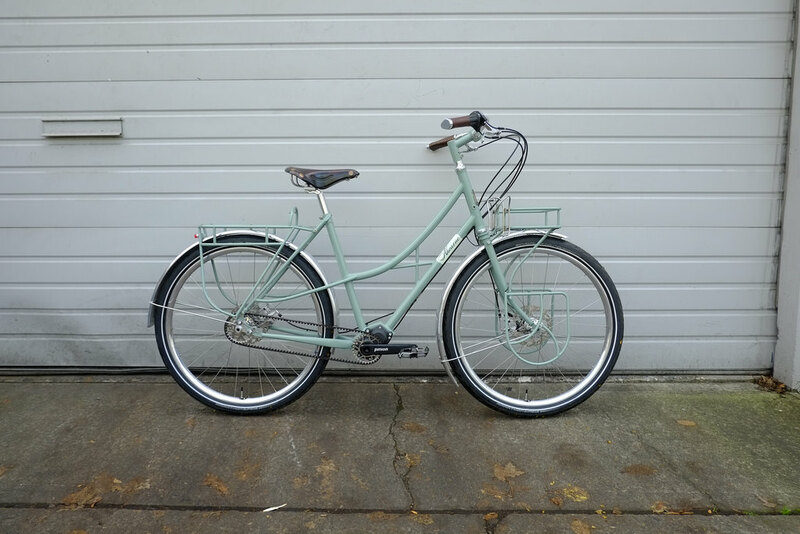 Ahearne began building bikes in 2002 after spending his early years traveling and working in bike shops. 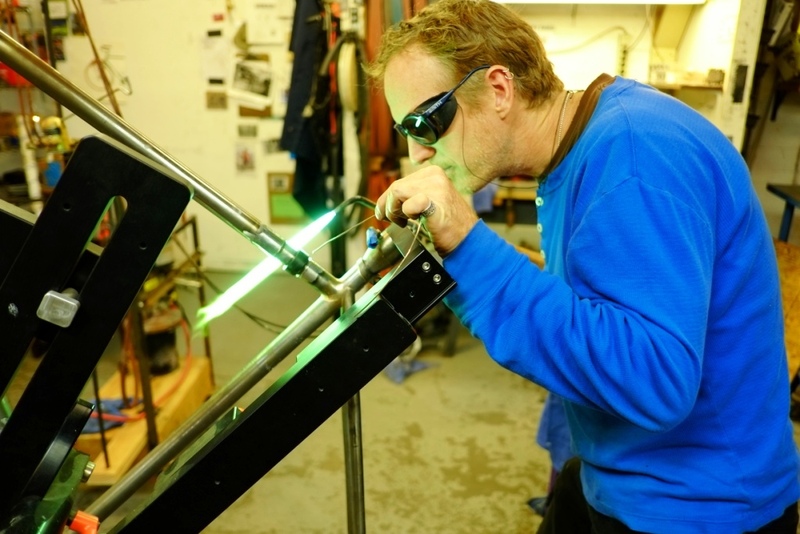 He took a framebuilding class, bought some equipment from a retiring builder and went to work welding frames for friends. 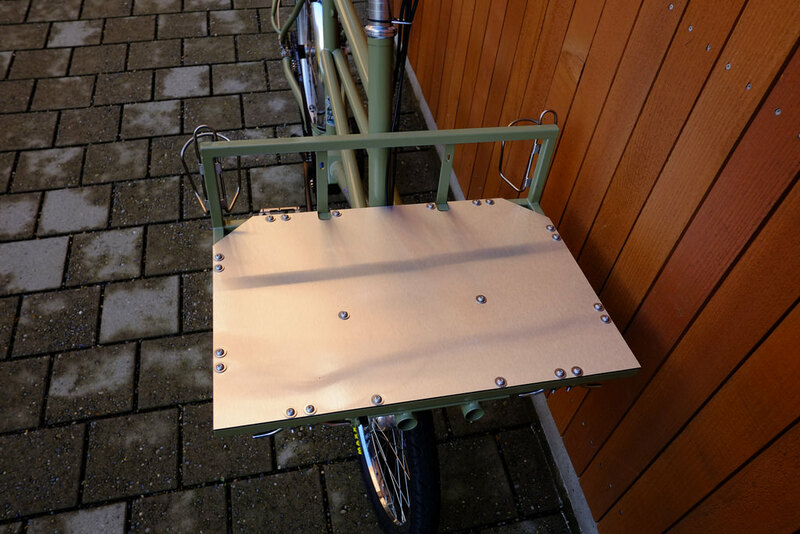 In addition to his alternative drivetrains and Cycle Trucks, Ahearne is known for his intricate custom racks that blend artistry and functionality. 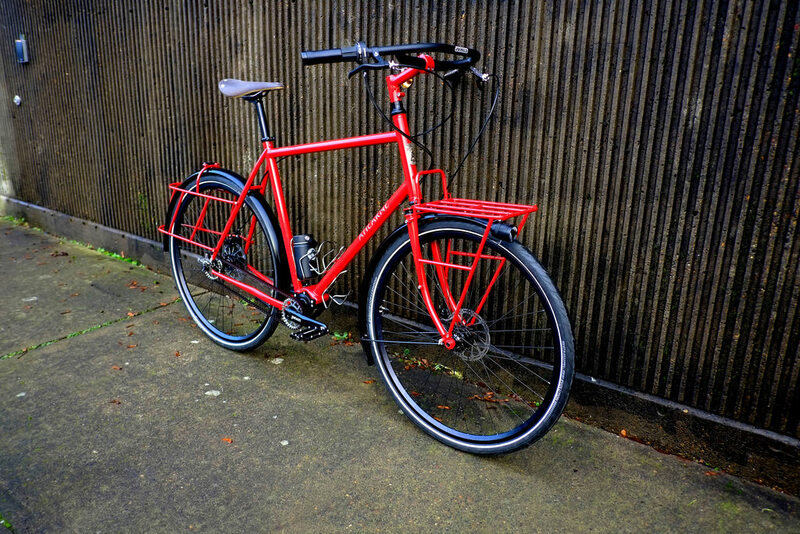 This gearbox commuter features a swooping step-through top tube plus intricate custom racks and was created for a Portland teacher who pedals everywhere and needed lots of carrying capacity. 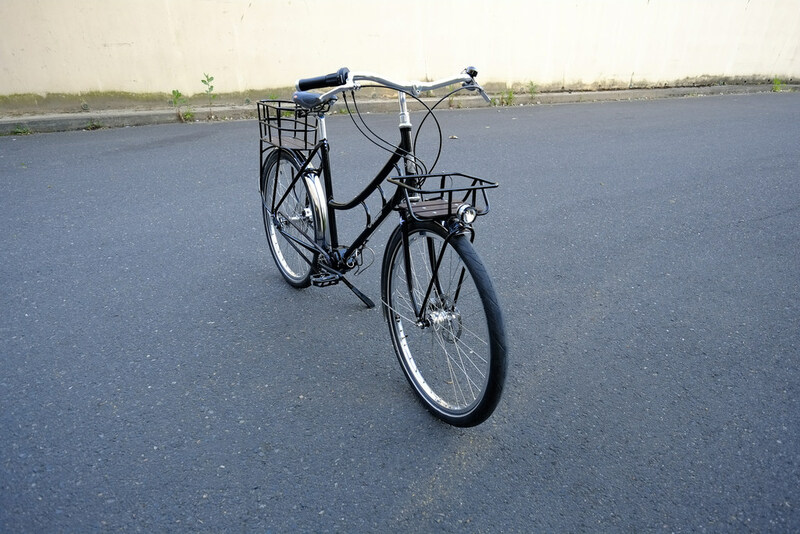 This mixte Pinion rig shows off Ahearne’s beautiful and functional custom racks–plus a gloss black finish for classic style. 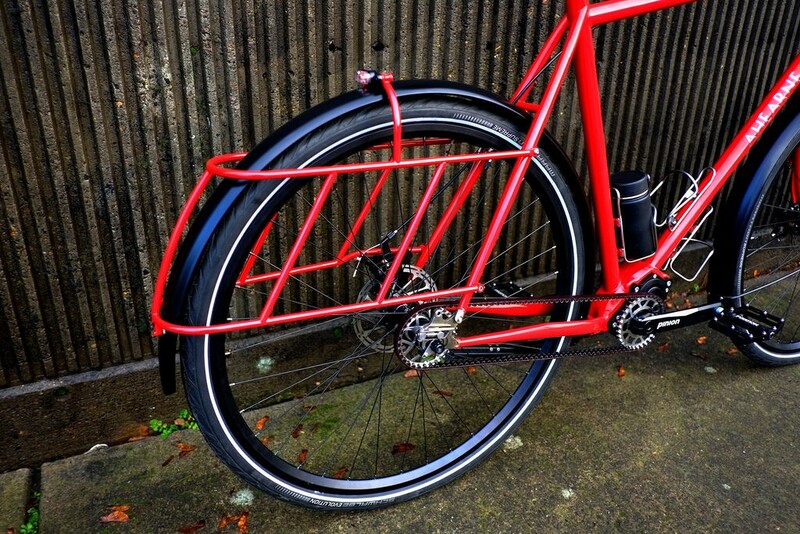 A red hot touring bike with intricate rack designs for fully loaded touring. 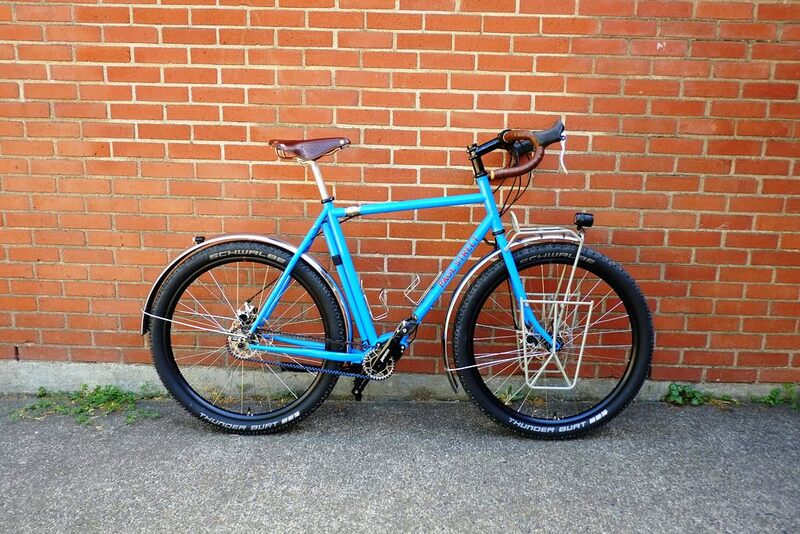 Ahearne is also a co-founder along with Christopher Iglehart of Page Street Cycles. They share a workshop, and combining forces allows them to concentrate on their strengths and complete bikes faster with more attention to detail. 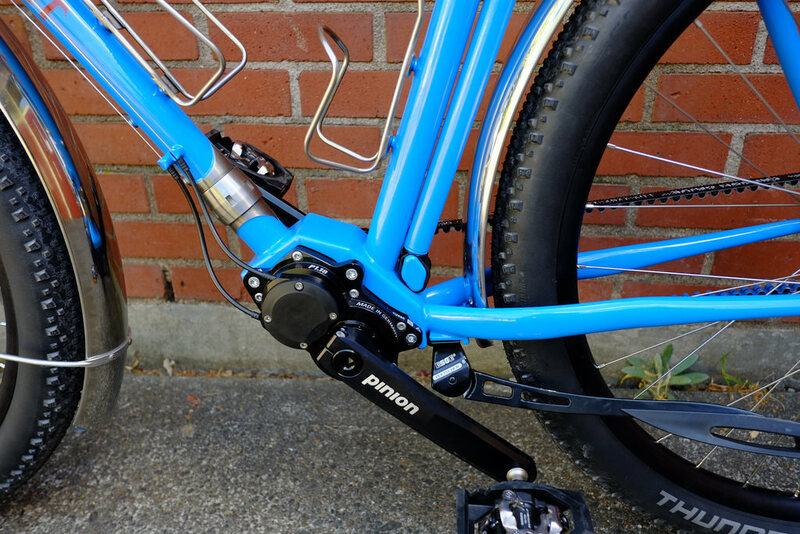 Page Street has made a name for itself in the rugged off-road touring segment, as evidenced by the blue beauty below. 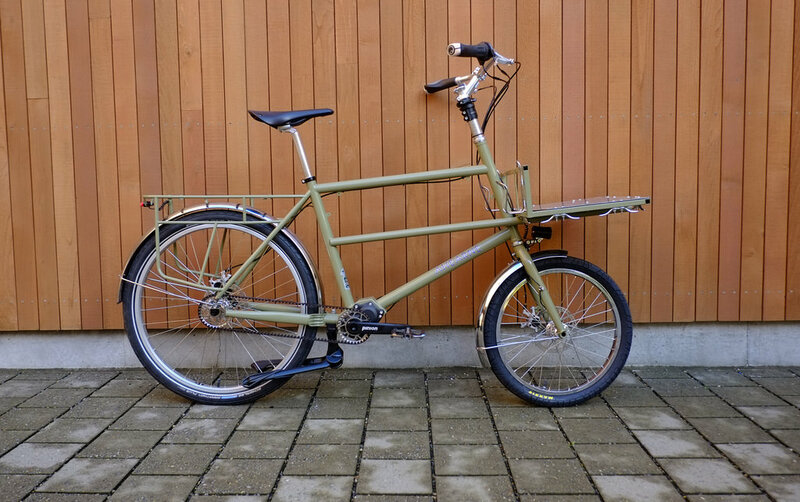 This “Outback” tourer uses 27.5 x 3.25 Schwalbe tires, a belt drive and gearbox, couplers for packing the bike in a case for travel, a generator hub for powering the head and tail lights and a USB charger. 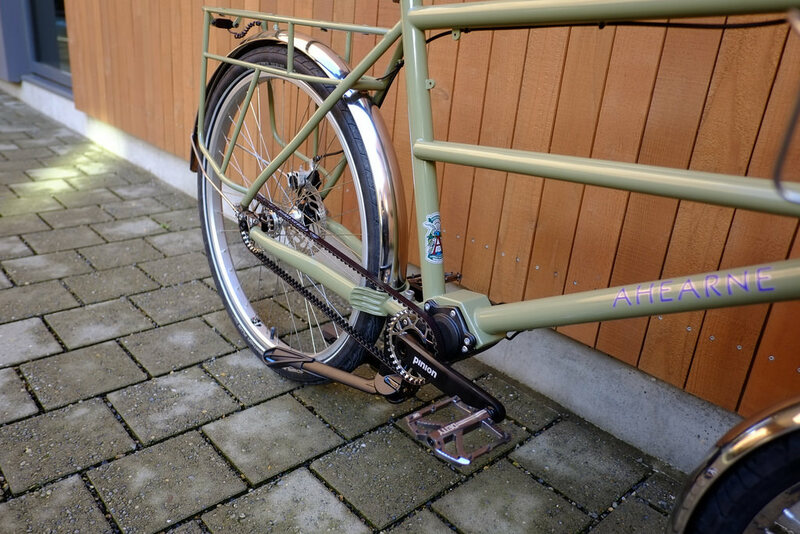 The color-matched pump mounted to the seat tube is a nice touch. 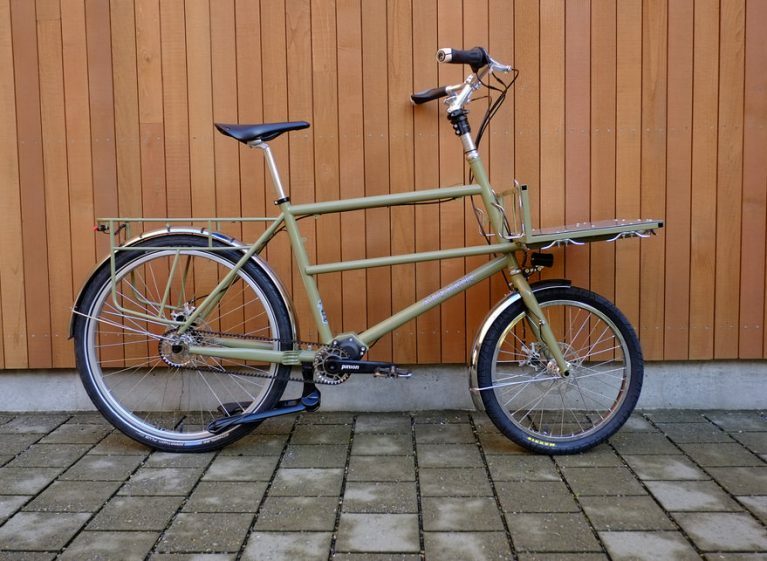 Customers often order this bike with two wheelsets: a fat off-road setup as shown above, and also a thinner 700c x 2.0 setup for road touring.